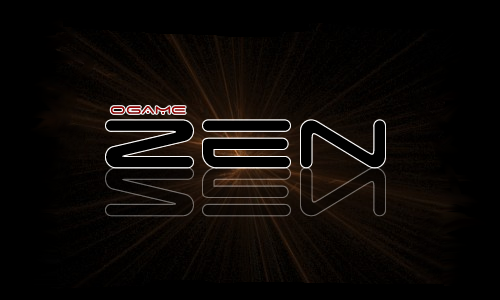 Hi everybody, i just thought i would do this little post to tell you were Zen came from. Back in uni 38 i created an alliance named Zen, Players Such as Ducky (who has done great things with the alliance since i left) and ShadowHunter were the heads of the alliance with me. We played through the uni for about 3 months reaching a position just outside the top 100 alliance's in the uni. At this point i then begin to be heavily farmed by an alliance which then lead on to me deciding to leave ogame. I left the alliance to Ducky and since then the alliance has grow into a multi universe alliance, which i hear is now the top alliance in uni 38. So yeh that's about it if any of you rember me then say hi . Yeah, Vader's told us a bit about you. Nice to meet you. Can he please be authed into uni 40 colour. Hi.Uni 40 colour or admin colour ? Hi man...if have a lot of respect for you because you have found this great alliance but you decision to leave ogame when you started to have problems it was not a brave one ...i hope that in fututre no body will leave because he has problems with the better players...is a matter of how you play this game to get away from the attacks...is only my point of view. Davinci, this is a closed case. Its over. Lets not cry over spilled milk. Just leave the past in the past and get on with it. Trust me, he's heard this before from fifty different ppl. Guest wrote: Davinci, this is a closed case. Its over. Lets not cry over spilled milk. Just leave the past in the past and get on with it. Trust me, he's heard this before from fifty different ppl. Can you honestly stop trying to start things? Probably just someone who forgot to log in. Psychotic is a good player and a good leader.He just had problems. It was a question. I wouldn't be rude to a friend, but it was rude for him to tell those things to a person, without us knowing who it is. That is my point of view. I think you're all rude just for existing. Who the hell says he left when we were in a war? I will tell you he didnt. He left because he had reallife stuff that was popping up. He had a great fleet and a great account. Whoever says he left druring a war is apsolutly wrong and shoudnt post unless he knows what actually happened. Yeah,I did not say the contrary but some people here cannot understand that.Real life is more important than ogame. Duck wrote: Who the hell says he left when we were in a war? I will tell you he didnt. He left because he had reallife stuff that was popping up. He had a great fleet and a great account. Whoever says he left druring a war is apsolutly wrong and shoudnt post unless he knows what actually happened. Darth wrote: Yeah,I did not say the contrary but some people here cannot understand that.Real life is more important than ogame. Thanks guys, it is true i left due to real life situations yet i caint blame you for thinking it was due to war as there are alot of people that would do this. Anyway just thought i would pop by for a post likein the new layout btw duck. i made it... u like it?? arekkusu wrote: i made it... u like it? ?